The FDA last month updated rules requiring hospitals and other providers to include the device identifier number in reports of patient deaths related to the use of a medical device. 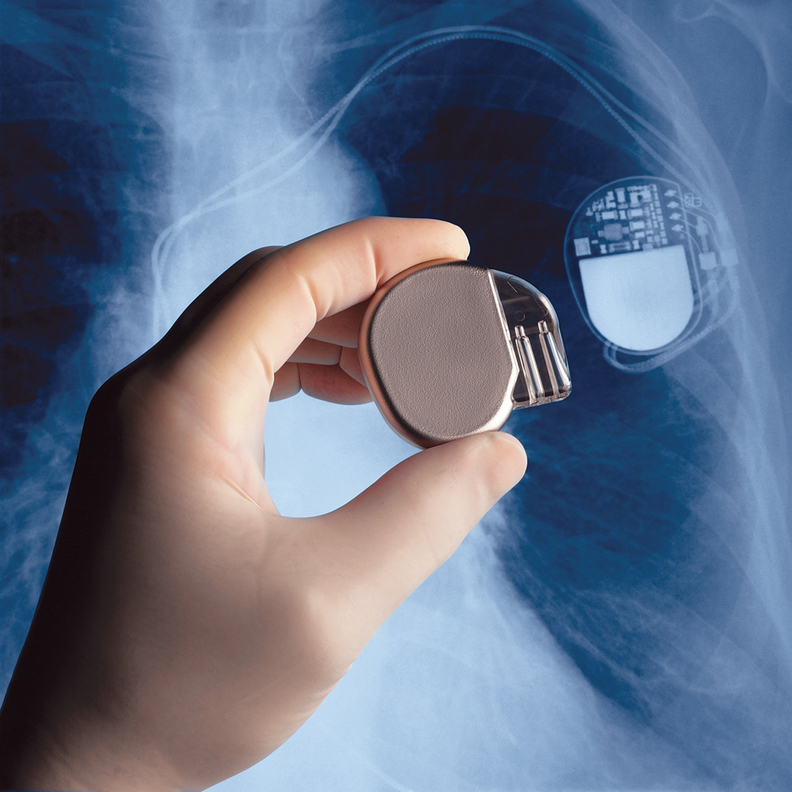 The CMS has finalized an overhaul of its coverage policy for implantable cardiac devices, expediting patient access and cutting regulatory burden for providers using the products. The coverage update announced Thursday, is the first major change to Medicare's implantable cardioverter defibrillator, or ICD, coverage in more than a decade. The CMS wants to reduce some of the barriers to care outlined in its most recent coverage determination, issued in 2005. The CMS is eliminating waiting periods for device implantation and dropping a policy that requires patients to be tracked in a registry. It is also requiring shared decisionmaking, which the agency said would empower patients. The agency wants to spur further conversations between providers and their patients about the appropriateness of the devices after the release of a 2016 study that questioned ICDs' benefits. Danish researchers determined that ICDs did not reduce heart failure patients' death rates from issues other than heart disease, including high blood pressure, faulty or damaged heart valves, or heart muscle damage. In the proposed version of the decision, the CMS suggested that the shared decisionmaking conversation take place with an independent physician or qualified non-physician practitioner. Clinicians pushed back on the suggestion as it was unclear what the agency meant by the word "independent" and there were concerns that providers not knowledgeable in cardiology procedures would be guiding patients on ICD use. "It is important for the physician who will be implanting the device to partake in this SDM (shared decisionmaking) process as (they are) better-positioned to answer questions about their skills and patient outcomes," Dr. Sana Al-Khatib, a professor of medicine in Duke University's division of cardiology-electrophysiology. said in a comment. In its final decision, the CMS agreed that the wording was confusing and could create unnecessary burden, so it removed the phrase "independent" from the coverage notice. "We want to ensure that the patient receives more information than the risks and benefits of the procedure," the agency said in its policy memo. The agency is also looking to hasten access to ICDs by allowing patients with an existing ICD who suffer a heart attack or undergo a coronary revascularization procedure to obtain a replacement device without waiting. Previously, the devices could not be implanted within 40 days of a heart attack or 90 days of bypass surgery or angioplasty. Hospitals have gotten into legal trouble for not honoring the wait period policy. The devices are wired to the heart and deliver an electric shock if they detect an abnormal rhythm. They are a significant revenue driver for hospitals. It's estimated that 10,000 ICDs are implanted every month, and the average hospital stay after placement is eight days. That generates an average of $12,423 in hospitalization costs per patient.